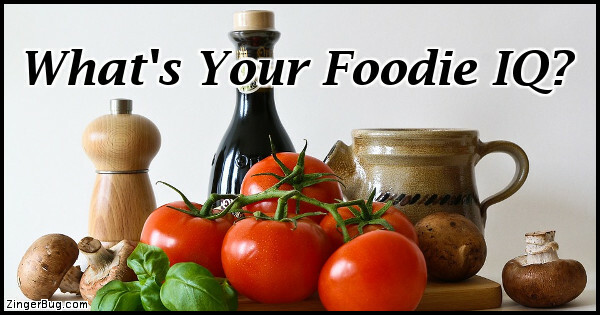 Test your knowledge and personality with these fun quizzes. Who Said It? 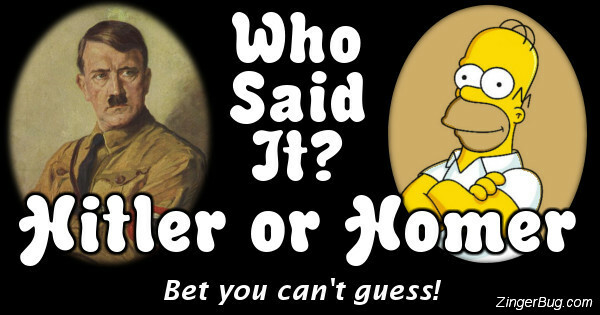 Hitler or Homer? 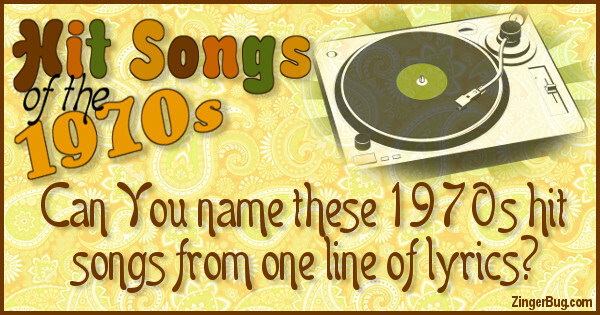 Can You Name these 1970s Hit Songs? 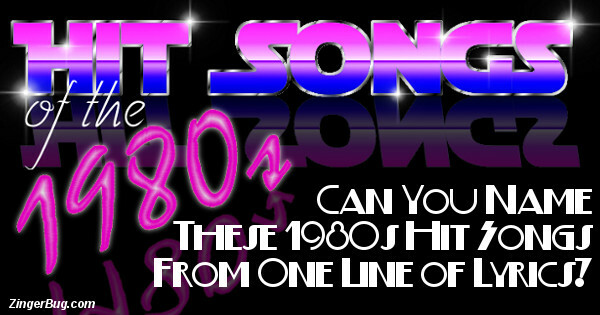 Can You Name these 1980s Hit Songs? 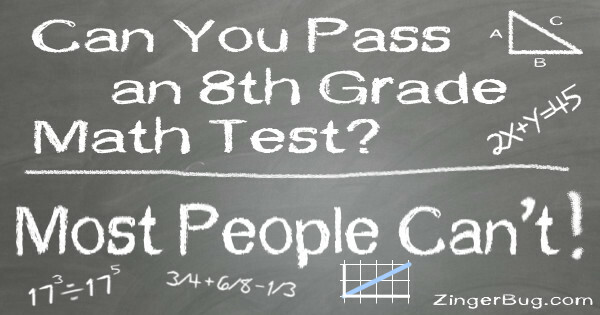 Can You Pass an 8th Grade Math Test? Most People Can't! 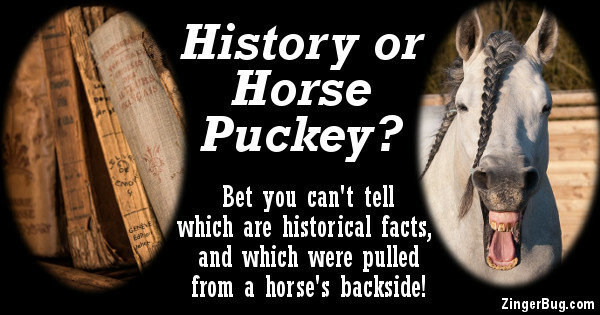 Are These Facts History or Horse Puckey? 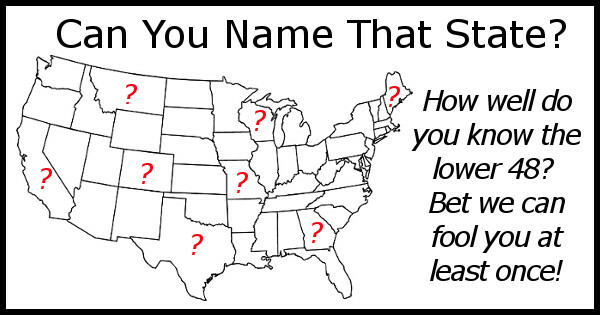 Can You Name That State? 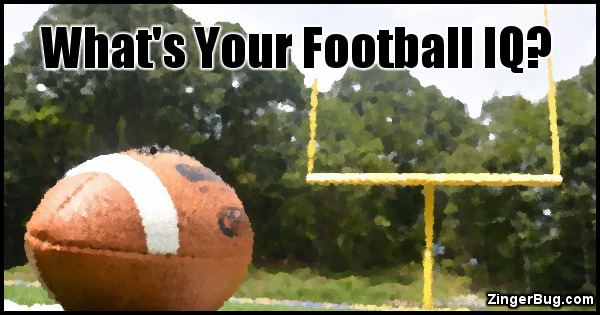 What's Your Football IQ? 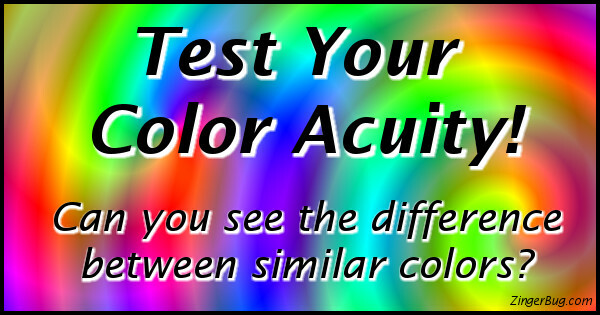 Test it with this fun quiz!